Everyone needs a creative outlet, whether it’s through painting, writing, fixing up an old car or sewing. Creative minds are coming together on our guide to share imaginative and entertaining DIY kits and tutorials for your arts & crafts needs. Whether you want to find a new hobby, learn a new skill or find a unique present for a loved one, DIY kits and tutorials are a great start to get more arts & crafts into your life. 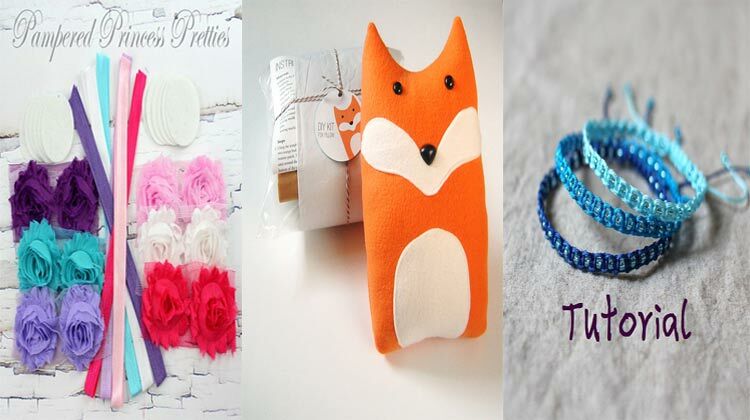 With unlimited ways to get creative, these arts & crafts made by indie sellers are sure to tickle your creative bone and add more zest to your life. From accessories to home decor, you’ll discover a wide array of products that’ll draw out the DIY crafter in you. Create your own friendship bracelets with Knot A Wish’s macrame bracelet tutorial! 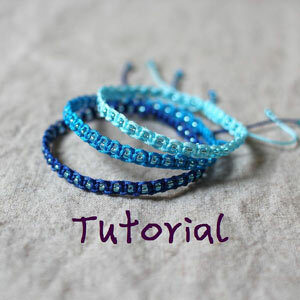 Loaded with information about creating a basic flat knot and how to make the macrame beaded bracelet, you’ll be able to become an expert at creating these dainty yet trendy accessories. The instructions included allow you to broaden your creativity and make this macrame bracelet into an anklet or wrap bracelet. 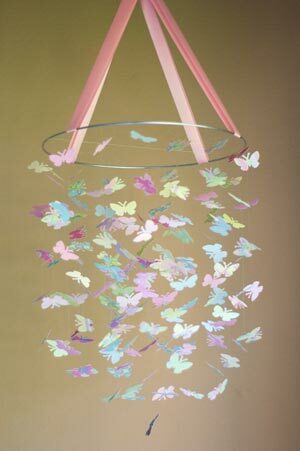 Charm your daughter’s room with Little Dreamers’ butterfly mobile! This DIY kit gives you all the necessary items and instructions to create this enchanting mobile. The butterflies are made from colorful and whimsical paper. You can also change the ribbon in this DIY kit to white or lavender to fit your little princess’ room decor. Little Dreamers has a variety of DIY kits for these butterfly mobiles, so be sure to browse through the shop to find the best fit for your little girl’s room. Let your kids explore new hobbies and have a new, cuddly friend with Sew Sir’s sock rabbit DIY kit! 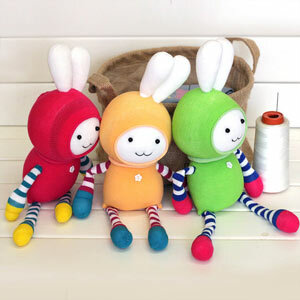 This whimsical sock rabbit has a unique plush design with striped legs and arms and colorful outfits. Filled with needles & pins, random small findings, stuffing, socks and more, this kit is fully loaded with essentials to create this sock rabbit. Kids at least 8 years of age can create their own sock rabbit with this DIY kit. You can find other Sew Sir’s DIY kits for many other items, from coin purses to other sock dolls. Create your own pocket notebook design with Curious Doodles’ DIY embroidery notebook! Two notebooks are included in this kit, which gives you double the pleasure of embroidering your own notebook design. You can also make these notebooks as gifts or stocking stuffers during Christmas. 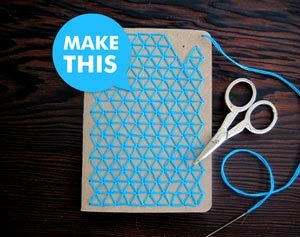 With laser-cut dots, this notebook provides easy and clean-cut holes to thread through. Each notebook contains 32 pages of blank, recycled paper, so this notebook is not only visually appealing, but it also gives you a handy, eco-friendly place to write down ideas, thoughts, feelings and more. You can find this DIY kit in red here. Itching to create your own large and luscious garden? With Maggie’s Microgreens’ Garden in a Box, you can start practicing managing your garden and greens with this small and simple kit. This kit includes small tins filled with certified organic seeds of various greens from Maggie’s Microgreens’ best sellers list, such as mustard greens chia. 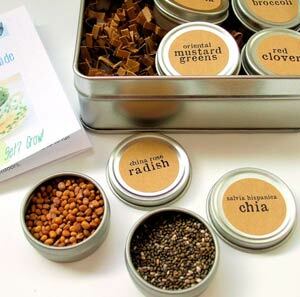 You can also customize this kit with the seeds you want fro Maggie’s Microgreens’ shop. Each seed tin includes enough seeds to grow 2-3 generous bunches of each microgreen in tea-cup sized planters. Play with the legendary building blocks on your phone case with Dream Bambi’s Lego iPhone Case! 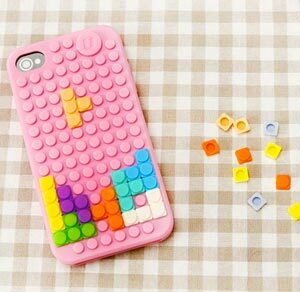 This iPhone case fits iPhone 4s and includes 80 or more small and colorful Lego-like pieces to decorate your phone with. You can also choose the color of your Lego iPhone case, which include beige, green, blue and more. This also makes a great activity for your kids while they’re in the car or at a doctor’s appointment. 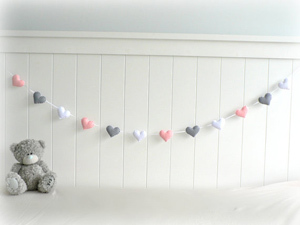 Sew the perfect decoration for your nursery or home with Lullaby Mobiles’ DIY heart garland kit! With grey, pink and white felt hearts, this whimsical home decor gives you that special something to add to your home and fill up those empty, spacious areas. This kit includes felt heart cutouts, embroidery skein, stitching and ribbon threading needles, white ribbon and a detailed and visual instructions book. Find other heart garland kits in other colors in Lullaby Mobiles’ shop. 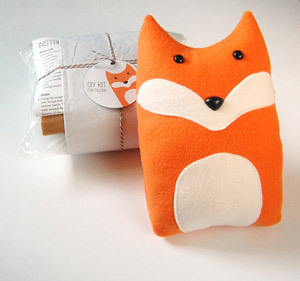 Add a whimsy, woodland creature to your home with Fluffed Animals’ DIY fox pillow kit! Not only can this fox pillow be a comfortable place to lay your head on, but it’s also a wonderful cuddly companion for kids. Whether by hand or machine, this pillow DIY kit allows you freedom to create this pillow any way you want. You can also find the finished pillow version in Fluffed Animals’ shop along with other fun and friendly critters. 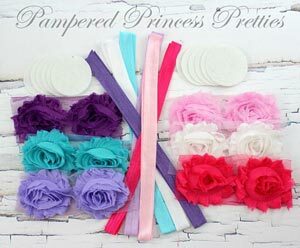 Make adorable and dainty accessories for your little girl with Pamper Your Princess’ shabby chic flower headbands! This kit includes six different colored shabby chic flowers and elastic headbands that you can mix and match. Other colors and designs for this DIY kit is available in Pamper Your Princess’ shop, so you can purchase multiple DIY kits to have a full collection of shabby chic flower headbands for your baby! Whether for a party or your home, Pomtree’s blue ombre fringe lantern is a retro way to spice up any area or occasion! The cascading, waterfall-like colors of this lantern creates a modern and quirky decor item. This kit includes all you need to create this lantern, and you can also request for a custom color to have your own, personalized lantern DIY kit. Interested in more pom decor? 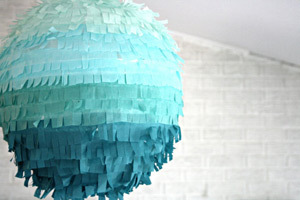 Check out Pomtree’s other items, from honeycomb paper lanterns to tissue pom poms. When you’re looking for a new hobby, not only do you get the pleasure of learning a new craft, but you can also discover that a new craft becomes one of your life passions. Open your mind to the wonders of arts & crafts, and experience the different types out there to discover what you can do during your free time or even as a career!